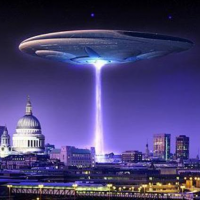 Today the public image of Ufology is comprised primarily of a National Security threat plus intelligence-government-military sources of information about the threat. This is how citizens and the media view us. In current social media parlance—this is our brand. This is the fruit of our 70 year seeding in these fields. Question: Is this the image, the brand, we want to maintain? Is this the Ufology identity we choose? If not, are there other options?